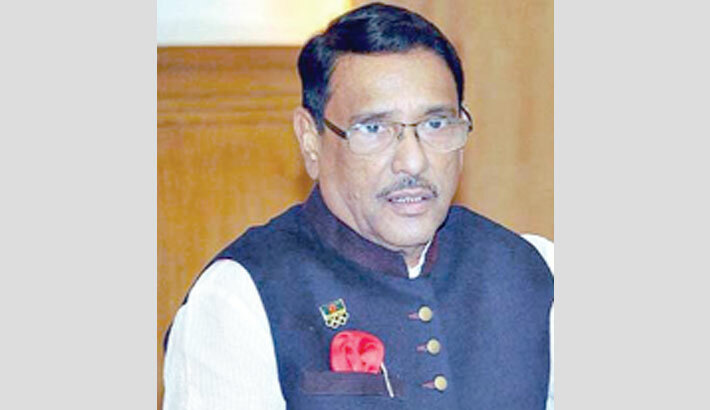 Ailing Awami League general secretary Obaidul Quader is now out of danger after his successful bypass surgery. “Following a successful bypass surgery, he (Quader) is now out of danger,” said Bangabandhu Sheikh Mujib Medical University (BSMMU) director Prof Abu Naser Rizvi, who accompanied him to the Singapore hospital, according to a press release issued by the Ministry of Road Transport and Bridges on Friday. “He will be shifted to a cabin within three to four days,” he said. Quader, also road transport and bridges minister, underwent a successful bypass surgery at Mount Elizabeth Hospital in Singapore on Wednesday. Dr Sivathasan Cumaraswamy, cardiothoracic surgeon at Mount Elizabeth Hospital and a senior teammate of the medical board formed for Quader’s treatment, conducted the surgery. Earlier, doctors of the medical board briefed the family members over physical improvement of the AL general secretary after the operation. Quader’s wife Isratunnesa Quader, his younger brother Abdul Quader Mirza, finance minister AHM Mustafa Kamal, senior secretary of Road Transport and Highways Division Khandker Anwarul Islam, Bangladesh High Commissioner to Singapore Mostafizur Rahman and AL leader Ishaq Ali Khan Panna, among others, were present during the briefing. On March 3, Quader was hospitalised to BSMMU following breathing complications and diagnosed with three blocks in the heart. On March 4, he was flown to Singapore’s Mount Elizabeth Hospital for advanced treatment.